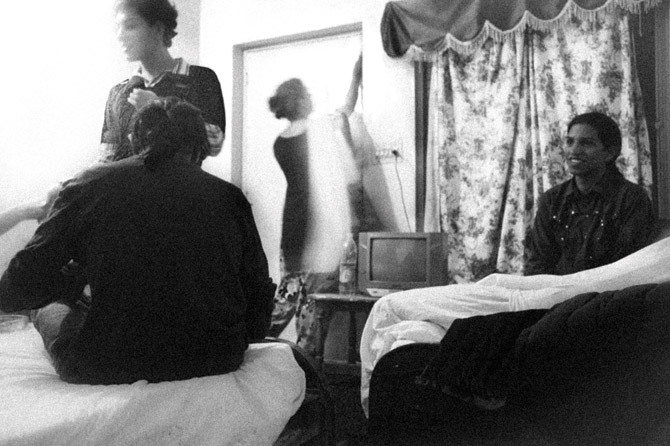 The research for this project began in the year 2007, when I started traveling and documenting sub-cultural spaces in Pakistan. 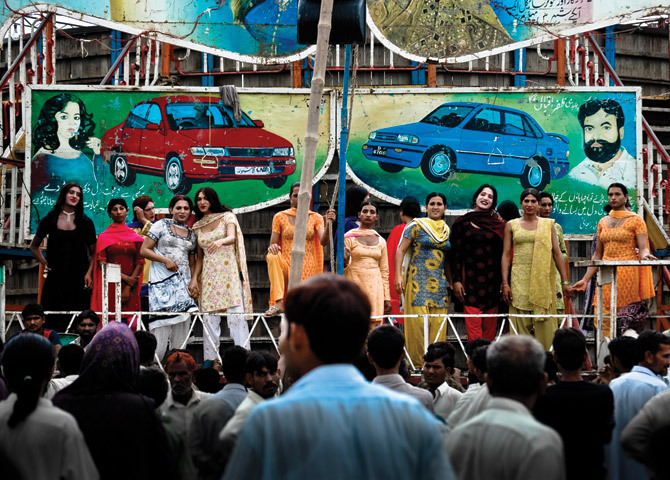 This body of work is concerned with the underbelly of society’s rigid strata, and ‘Don’t Ask Me My Real Name’ is a series of photographs taken once I gained acceptance from the close groups of transgender and transvestites who entertain at the carnivals, shrines, and street festivals of Lahore. 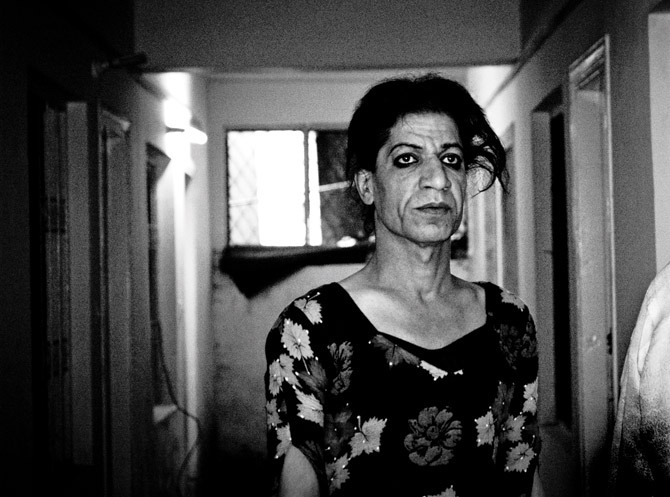 They reflect a conscious transformation of identity and lifestyle chosen by the transgendered men, most of who suffered from early childhood sexual harassment or were thrown out of their homes because of not conforming to gender stereotypes. 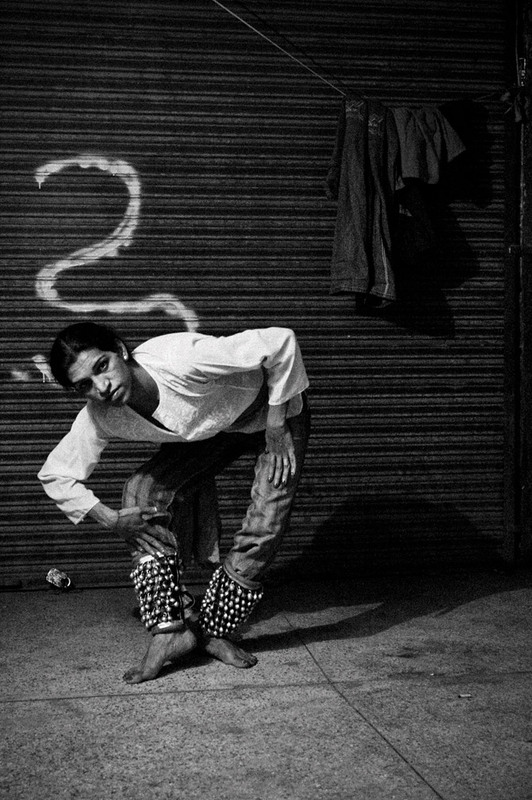 Viewed with bemused suspicion in Pakistani society, the transgendered men are commonly known as ‘Hijras’. Although distinct from society, they live by a prescribed code. Every Hijra follows a Guru-master or a guardian and they practice his teachings and training. They explained to me that they have men’s bodies with a woman’s soul and describe themselves as a third gender, but that physical life is just a part of who they are. They believe their unique duality unifies both their male and female sides, creating a deep sense of harmony and spirituality that allows them to face the world with a unique perspective, transcending normal lives. Even though they are considered to have shunned religion, they believe themselves to be chosen by God and feel that their path is that of the devotee. Every year they make several pilgrimages to holy sites, festivals and shrines. 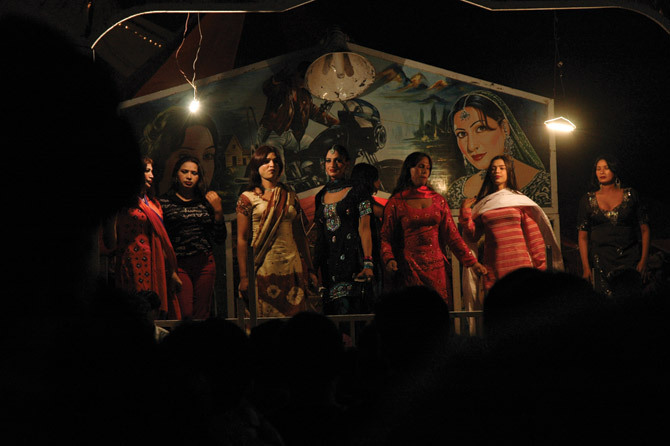 I was invited to join them on a visit to the Muree hills in north Pakistan, where large groups of Hijras gather to honor the Saint Baba Lal Shah, who is regarded as a holy figure. At the start of the project, a friend introduced me to Neeli. Neeli was a Hijra. 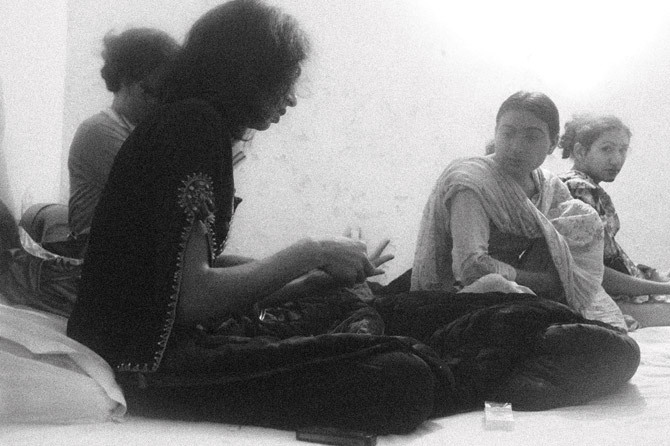 He was living in a very poor area in a rundown shopping mall in one of the unused units, sharing the space with three other Hijras. 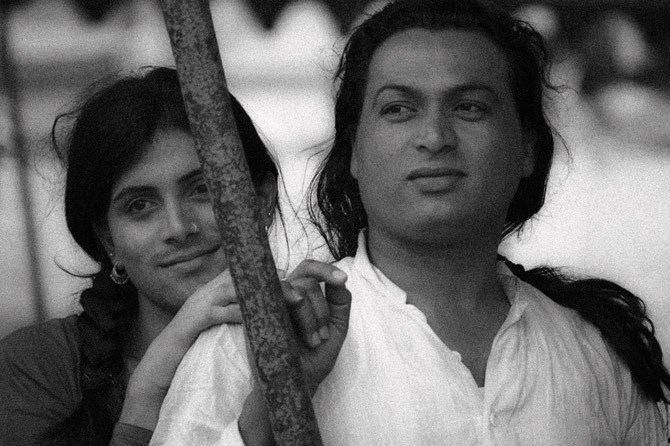 He explained that at the age of 10, he was kicked out of his house and was forced to live on the road and, after a time, found himself living in the red light area in Lahore, where he chanced upon the community of Hijras of which he’s now a prominent member. When he met them, they explained that as his soul and spirit was the same as theirs, he should be one of them. At last, he felt he belonged. 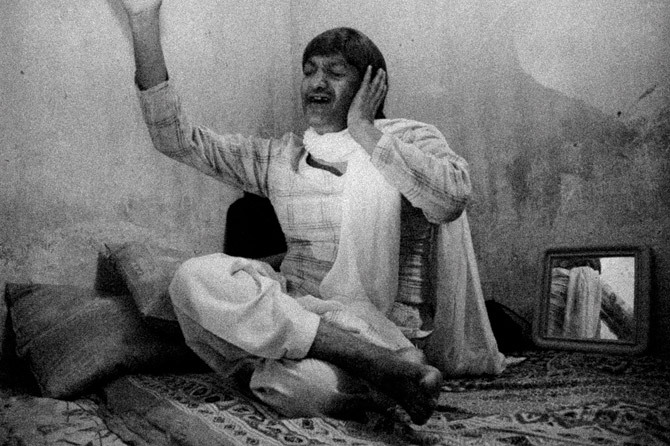 As Neeli introduced me to other friends, people from his close group, each welcomed and eventually trusted me with their stories, allowing me into their private spaces and sometimes even showcasing their new performances for me. Regardless of the stigma and rejection these men live with, they have a philosophical and considered position. Throughout our meetings, their outlook on life was very positive and rational. Things that were not in their control were not lamented upon and they were happy in their own skin. 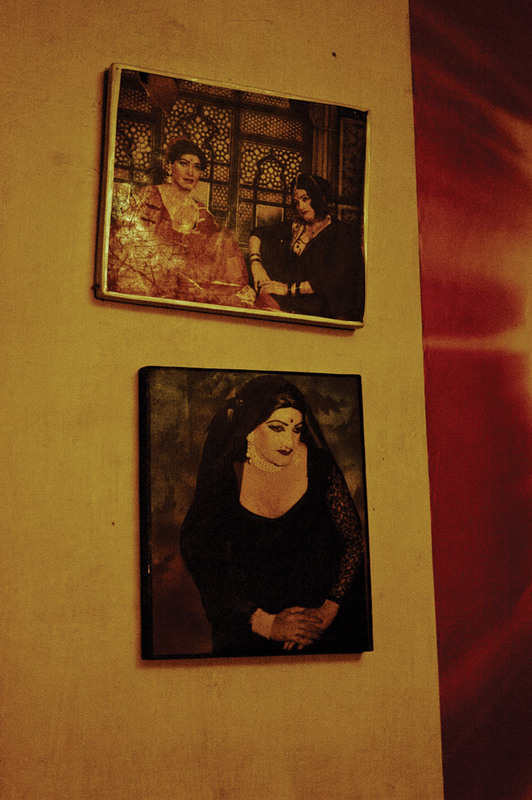 Discrimination and harassment are part of the everyday life of a Hijra, but these men live their lives willfully and many are self-taught literates regardless of their lack of formal education. Observing their personal lives and cross-gender relationships is an awe-inspiring journey, which I plan to continue to explore and to try and understand. 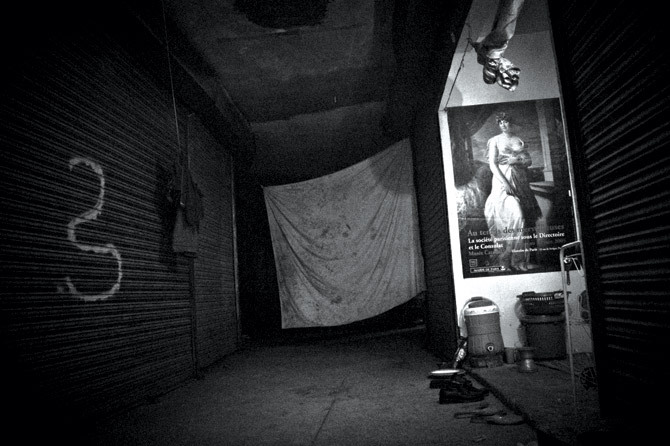 These photographs shed light inside their so-called ‘lost souls’. 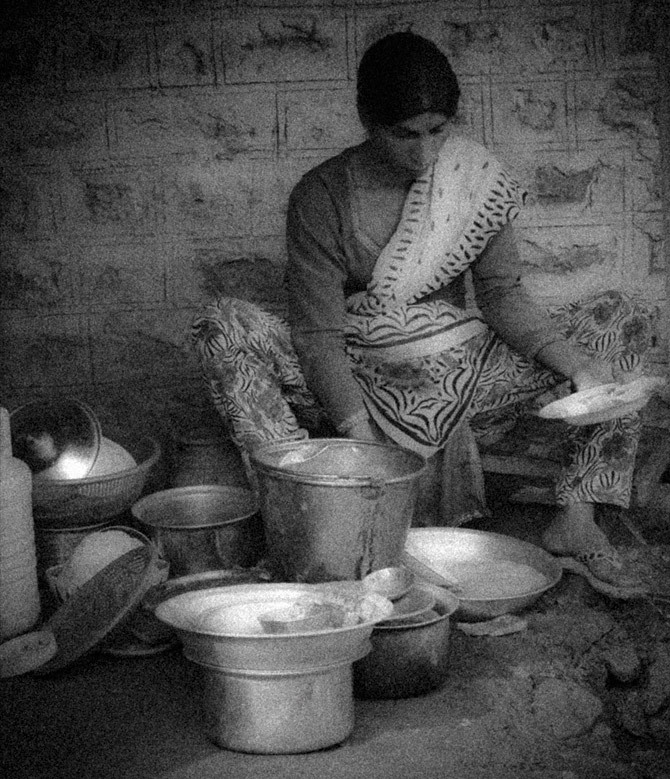 Zahra Jewanjee is an artist and photographer currently living and working in Dubai. She studied the first two years of her bachelor’s degree in Indus Valley School of Arts, Karachi and felt the move to Lahore would be cathartic for both her and her work. Equally at home painting or behind the lens she seamlessly creates synthesis between the two different mediums informing and articulating her own personal and conceptual landscape. 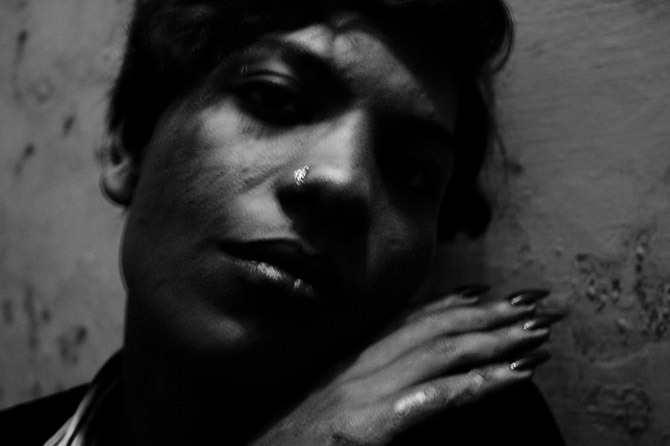 Zahra is currently working on her forthcoming solo show.